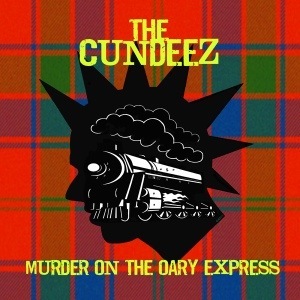 CD cover design for the forthcoming CundeeZ album “Murder on the Oary Express” due to be released Nov. 10, available through their Facebook page. Proper Scottish punk band with a big heart – Keep it Oary! Ta! This was a fun project! Wow, that really fits the bill! LOL! Wonderful.